Every enterprise is fraught with uncertainty, and for most of us, that means some level of anxiety. This week’s guest blogger, Michael Guillebeau, faced significant trepidation before (and during) the creation of his new anthology, as he mentions below. But the more he pushed through his fear, the more delighted he was by the results, which seems to be a common theme in success stories. Who knows? Take his advice to heart, and you just may have words of wisdom to share with the Killer Nashville family one of these days, too. First off, I’ve got to apologize for this piece not being funnier than it is. You can blame my writers. 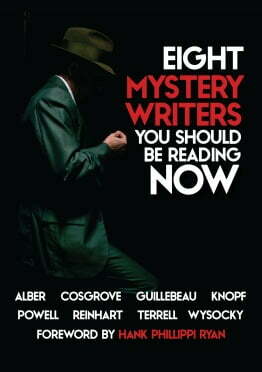 When I started Eight Mystery Writers You Should be Reading Now, I thought I’d have a mess of funny stories by now. I mean, writers are notoriously independent (I expected at least one chorus of “I know you said you wanted mystery stories, but I thought my unicorn story would be better”), late (“If I have my section done by Christmas, will that meet your October deadline?”) and even bizarre (“I do all my writing in Japanese. My editor has to fix it”). Not my writers. Not only are they all great writers whom you really should be reading now, but they were also the best team of people I’ve ever worked with. Thank you, Lisa Alber, Kathleen Cosgrove, Chris Knopf, Jessie Bishop Powell, Larissa Reinhart, Jaden Terrell, and Lisa Wysocky. And thanks from all of us to Hank Phillippi Ryan for giving us a wonderful foreword. And to the amazing Stacy Pethel for editing contributions from nine separate writers for no pay or glory, and no reason other than her love for words. I’d work with you all again on anything. I didn’t get any funny stories, but I do have a few pointers on how a multi-author project can be more fun and successful than you can possibly imagine. 1. Don’t say no to the idea. This is always the hardest and most important lesson, isn’t it? Like most of us, I was frustrated by the problem of asking readers to select my writing based on blurbs when I really wanted them to see… my writing. Handouts and free days help but have their limits. I reflected on how I picked my own reading material: mostly through recommendations from people I trust. What could be a higher recommendation than inclusion in a book with writers that people already trust? 2. Find a clear vision, and the right people to buy into it. So now I was excited, but scared. I have trouble asking a waiter for a refill of iced tea. Now, I had to refine my ideas and go up to people I was in awe of and ask them to play with me. But I set that aside and thought: What if they said yes? Who would I want? There are lots of anthologies focused on a certain style or sub-genre. I didn’t want that. I wanted this to be a book of discovery for readers. I wanted eight writers who were each so different that most people who loved one of them would never have heard of the others—but might discover something new that they wouldn’t otherwise look at. I also had to have quality. I expected readers to dislike at least one writer because it wasn’t the style they wanted, but if they read even one writer who seemed amateurish, they’d put the whole book down. So I had to find people whose work I admired, and make sure they were all different. I needed people to buy into a project that was to be largely promotional (we’d rather give away a thousand of these than sell a hundred), but that would still require their best. And the kind of people I wanted were already up to their armpits in better projects than mine. 3. Even big people love to be asked to help, particularly if it helps them, too. So you’ve heard the saying about leap and the net will appear? After downing antacids and adult fortifications, I started approaching some of these semi-giants. Felt like Dorothy approaching the Wizard, without even a lion or scarecrow or a tin man. I was rewarded with some of the best experiences of my life, as faces lit up and people I admired thanked me for the opportunity to be a part of this. 4. If you keep your request small, people will deliver big. I pitched Eight as a low-impact project to the other writers, but none of them treated it that way. All I asked for was a sample chapter, a previously written story, and an interview. I got all that, on time (barely in some cases, but on time), and so much more. Jessie Powell made us a book trailer, and had to be restrained from doing a print ad. Kathleen Cosgrove found us a cover artist (her son Charlie Wetherington) who delivered a killer cover for next to nothing. Chris Knopf sent our press release to his many contacts. And… well, everybody went over and above. 5. Actually producing the book is the easy part. There are lots of materials out there on how to self-pub a book. I won’t add to them except to say that pulling together a book is just a lot of fussy little time-consuming tasks, but nothing to be scared of. 6. Multiple writers multiply the quality of the book and the power of the marketing. I really think that each person roughly doubled the value of this project. What a joy. So now my little-bitty scary idea has become the book that I may be the most proud of, the one that will probably get the most attention, and the one that was the most fun to work on. Without me having to do all that messy writing stuff. Michael Guillebeau’s first book, Josh Whoever (Five Star Mysteries, 2013) was a finalist for the 2014 Silver Falchion Award for Best First Novel: Literary Suspense, received a starred review in Library Journal, and was named a Debut Mystery of the Month by Library Journal. 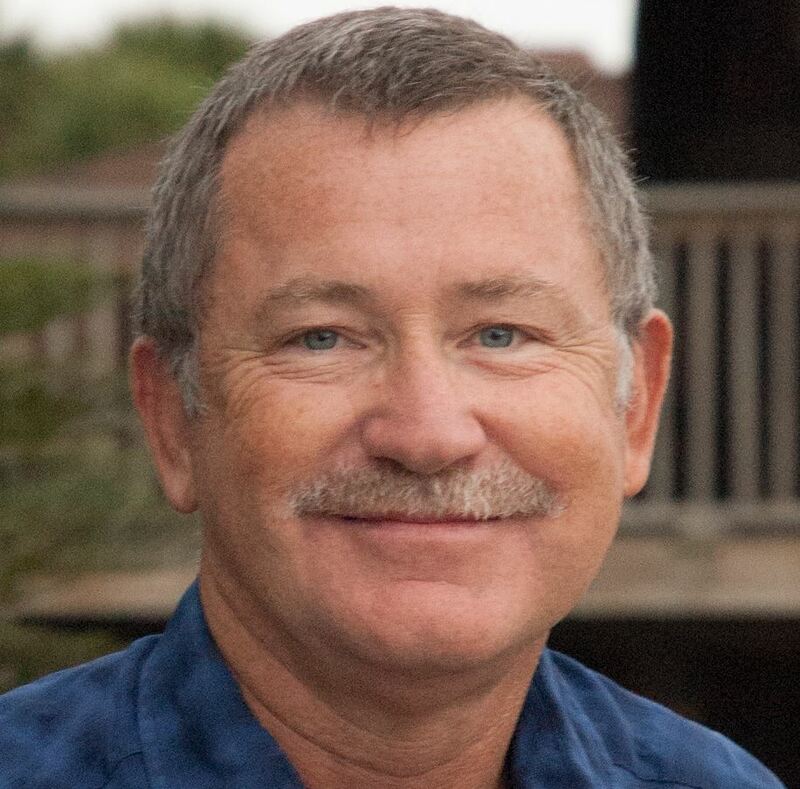 His second book, A Study In Detail (Five Star Mysteries, 2015) received the following praise from the Midwest Book Review: “fresh, original and witty.” Guillebeau has published over twenty short stories, including three in Ellery Queen’s Mystery Magazine. Michael Guillebeau lives in Madison, Alabama, and Panama City Beach, Florida. For more information, see www.michaelguillebeau.com. Thanks to Tom Wood, Emily Eytchison, and publisher/editorial director Clay Stafford for their assistance in putting together this week’s blog. For more writer resources, visit us at www.KillerNashville.com, www.KillerNashvilleMagazine.com, and www.KillerNashvilleBookCon.com. And be sure to check out our new book, Killer Nashville Noir: Cold-Blooded, an anthology of original short stories by New York Times bestselling authors and newbies alike.